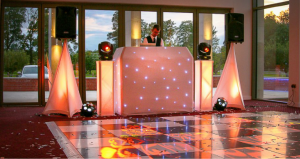 Available from our own stock or from other industry professional suppliers we can supply a range of dance floors in White, Black, Chequered, Starlit, Led, and full animation. Available in various sizes dependent on numbers of Guests. 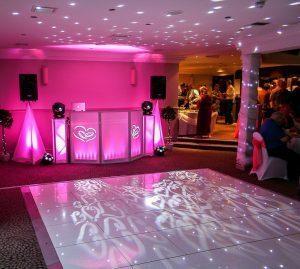 All of our dance floors come supplied and installed by one of our professional installers and can be laid in about 30 minutes. Dancefloors can be added to our wedding packages at a preferential rate. Please Enquire for further details.